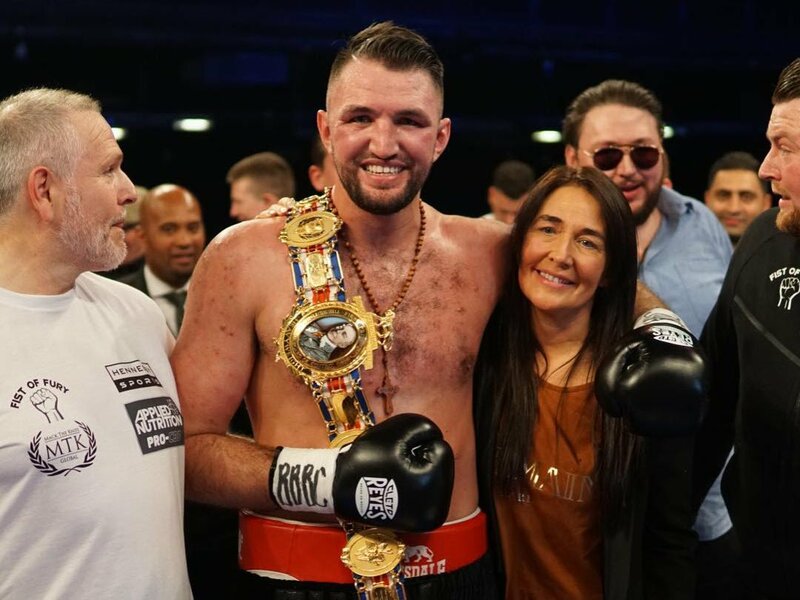 Hennessy Sports is thrilled to announce that Hughie Fury’s stunning fifth round stoppage of Sam Sexton to become British Heavyweight Champion last Saturday night at the Macron Stadium, Premier Suite, in Bolton was a TV ratings hit that reached a total of 2.9m viewers across the night on Channel 5 and 5Spike in the UK. Sexton v Fury headlined a superb show presented by Hennessy Sports, which was broadcast exclusively live on free-to-air Channel 5, that also included female sensation Savannah Marshall’s second round TKO victory. A portion of the undercard was televised live on 5Spike earlier in the evening. Fury, an alum of Channel 5, returned to the TV network where he commenced his professional career and learnt his trade from World Heavyweight Amateur Champion to World Heavyweight title contender and now British Champion. Promoter Mick Hennessy, who was instrumental in introducing Channel 5 to televising live boxing and the only promoter to consistently deliver the best ratings on the channel, was elated with the figures and said that this demonstrated the public demand for free-to-air boxing on TV. Hughie (21-1-KO11) rose to the occasion at the Macron Stadium with aplomb – producing a pair of deadly right hands to drop and then finish defending champion Sam Sexton and send his supporters into rapture. With the event broadcast live and free-to-air on Channel 5, promoter Mick Hennessy proudly confirmed the impressive size of the audience on Tuesday. Peter Fury said: “The exposure Hughie’s got from this has just been phenomenal. We got a call saying the figures were initially 1.5m but then the overall figures turned out to be pretty much double that. “It’s just amazing. The whole night exceeded our expectations in every way. The event was fantastic and for so many people to tune in and watch a British heavyweight title fight on terrestrial television is great for the sport. “It was a very special night for our family. The after-party went on past the early hours. All our close family and all our friends from over the years were there and we have to thank the staff at the Macron Stadium for partying with us. “For Hughie to win the prestigious old Lonsdale belt is fantastic. A British heavyweight champion by 23 – it’s not often you can say that. Now he’s won it and enjoyed it, he’s got his eyes firmly set on bigger prizes.